SSMS presents "The Wonderful Wizard of Oz"
The SSMS Drama Club will present "The Wonderful Wizard of OZ" on Feb.15th and 16th at 7pm in the SSMS gym. 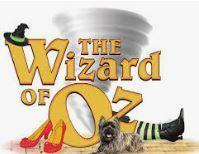 The SSMS Drama Club will present "The Wonderful Wizard of OZ" on Feb.15th and 16th at 7pm in the SSMS gym. The cost of a ticket is five dollars and the proceeds will go to support the 7th grade trip to Williamsburg, VA. Tickets will be sold at the gym entrances the night of the performances. Preshcool age children get in free.